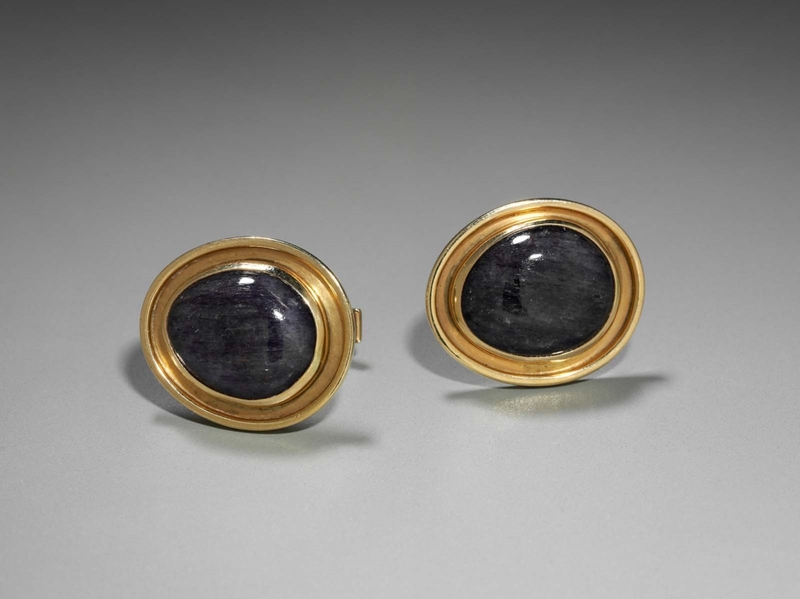 Oval cufflinks. Gold frame encircle navy sodalite stone - inlaid. Marks: impressed “MACEFIELD” and “14k” on reverse.